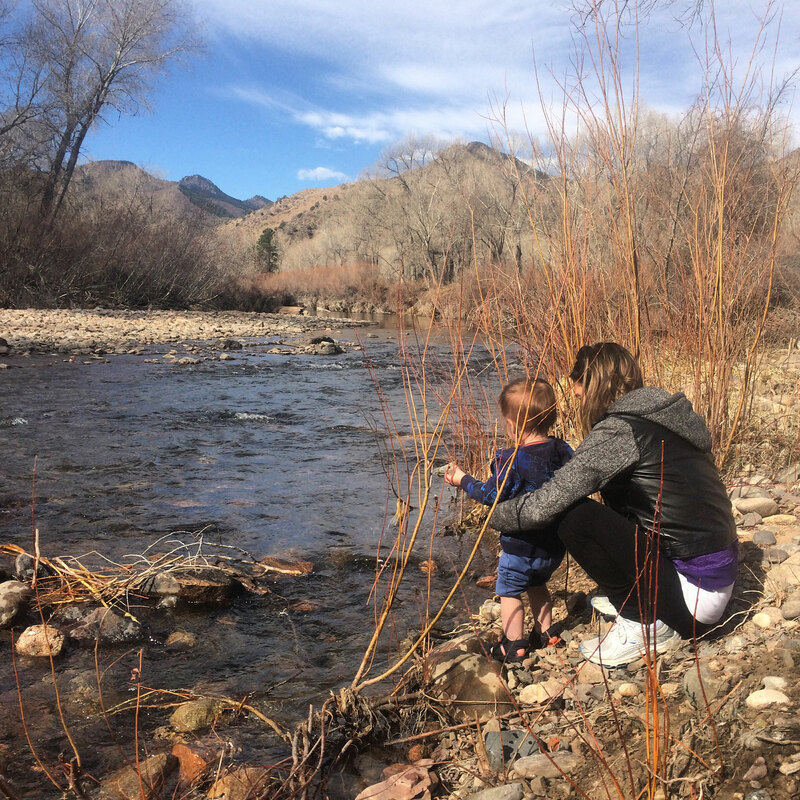 Get outdoors and rejuvenate with these fantastic natural spaces! 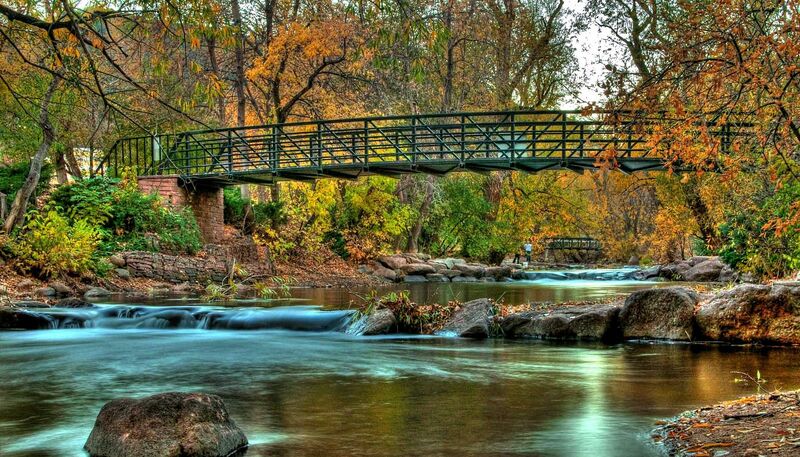 The Denver region offers a bounty of beautiful trails. The possibilities along these trails are endless. You can bike, hike, and walk. You can watch beautiful wildlife or do some people-watching. Anything you decide, we encourage you to take advantage of these amazing outdoor experiences. Many of these trails are projects the Flood Control District has spearheaded or contributed. So, we pepper in some opinions from our staff members on what makes the trails so great. Enjoy! Photo courtesy of Jefferson County government. 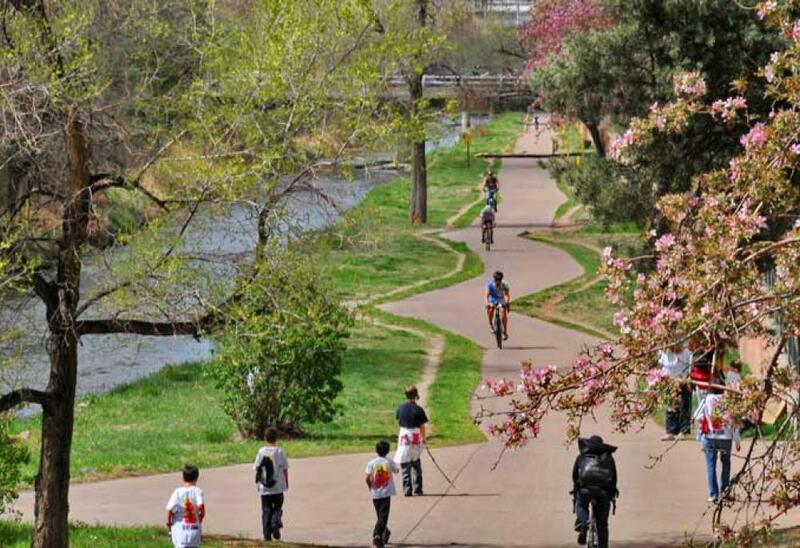 Cherry Creek trail starts at Confluence Park, where Cherry Creek and the S. Platte intersect. From there it stretches 42 miles down to Franktown. The trail is popular with commuters. 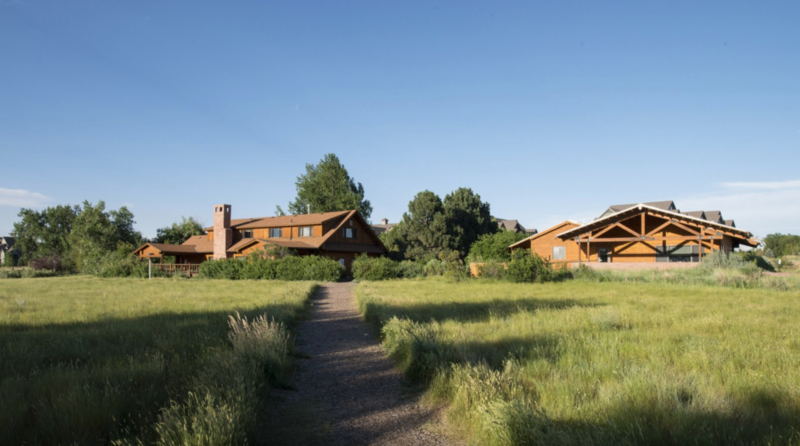 It offers a sanctuary from the busy streets above to those biking or walking to work in Metro Denver. It is also a popular trail around the Cherry Creek reservoir. Other notable sites along the way south are the city of Parker, Bar CCC Park and the Pinery Country Club. Originally meant for irrigation, this trail is now also used for recreation. Our Executive Director, Ken Mackenzie says, “Lose yourself on the 71-mile trail that parallels this 135 year-old canal—you’ll forget you’re in the city.” Much of the trail is shaded by Cottonwood Trees. It also follows the contours of the land, making it an interesting bike, jog or walk. 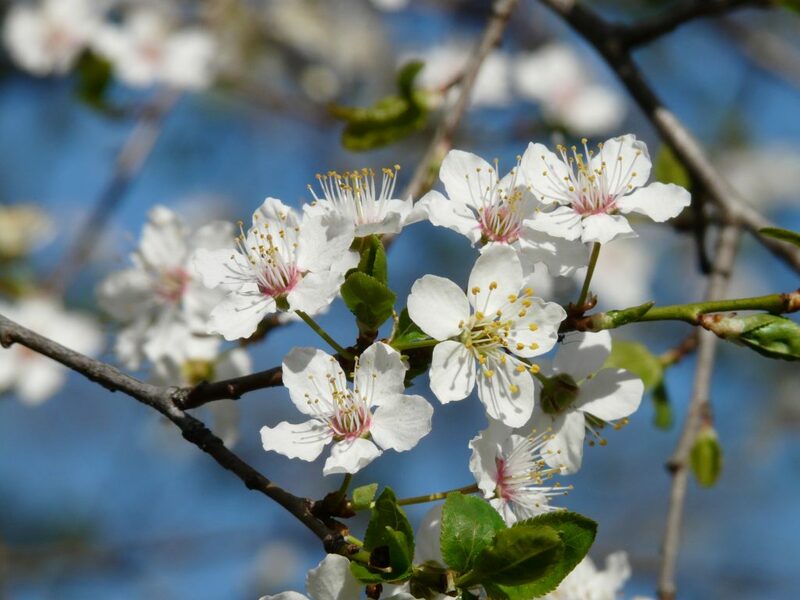 Here is the Prunus Americana in its flowered form. It’s also known as native plums, which can be eaten in fruit form, and were widely consumed by American Indians and early settlers. Waterton Canyon provides great access to the Colorado Trail. It’s also a hotspot for seeing wildlife, including bighorn sheep. Parking is plentiful even on weekends as the trail is not heavily trafficked. 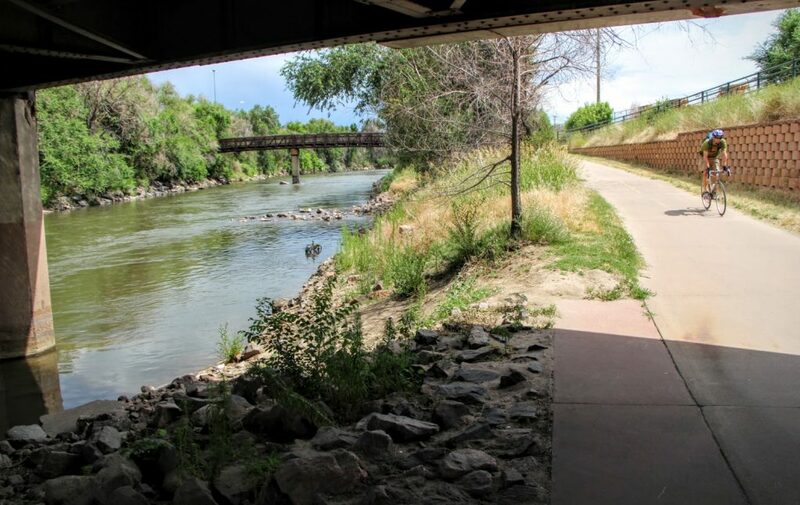 The South Platte Trail stretches almost 30 miles and is outstanding for biking. It winds through Urban Denver, and then stretches into the plains. The Rocky Mountains serve as the backdrop for much of the trail once you leave the city. Photo courtesy of the Outdoor Project and photographer Elle Ossello. Roxborough State Park is very similar to Red Rocks but with one major difference. Roxborough has considerably less traffic and tourists. Getting into the state park can take about 20 minutes sometimes because they limit the amount of traffic allowed in at one time. But, overall it’s worth it. The rock structures are just as dramatic — if not more stunning — than Red Rocks. Hiking trails stretch as long as 9 miles and vary in intensity and duration. 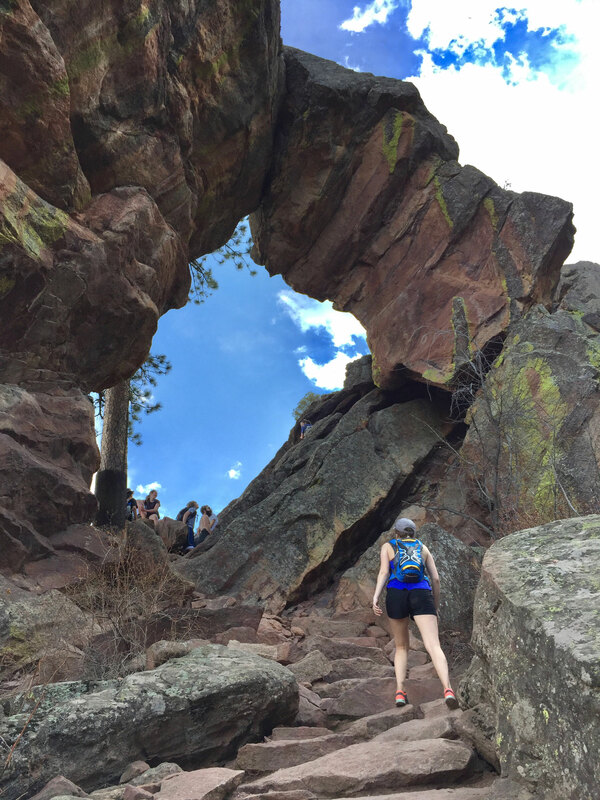 Boulder is well known for the beautiful hiking amongst the Flatirons at Chautauqua Park. Royal Arch takes you past the Flatirons, and deeper into Chautauqua. After ascending and descending alongside the mountain you emerge at Royal Arch — a stunning and giant rock formation nestled on the mount side forest. 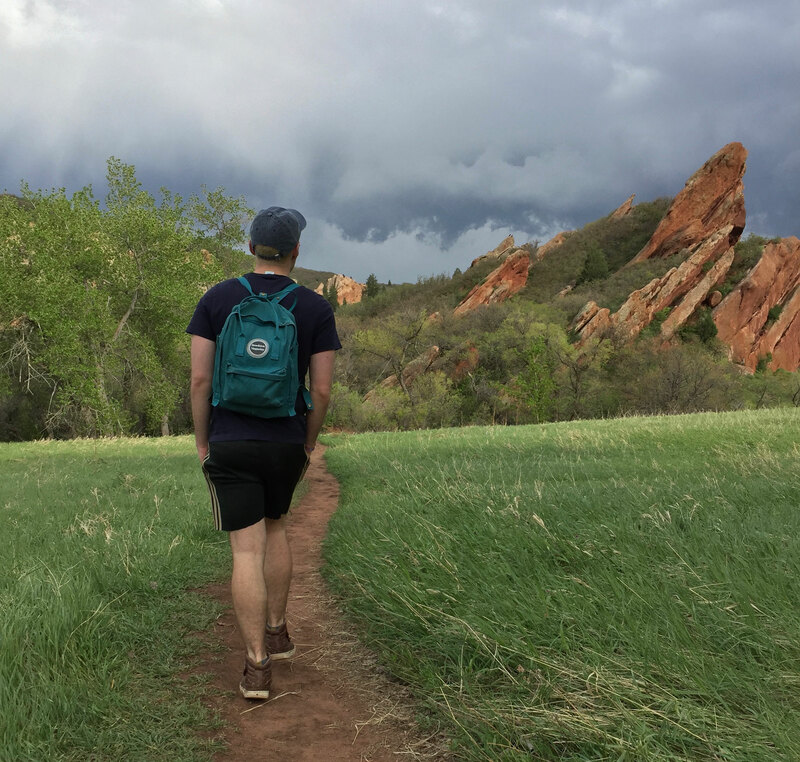 These 10 trails are just a taste of what the Denver region offers. What did we forget? Like what you saw?